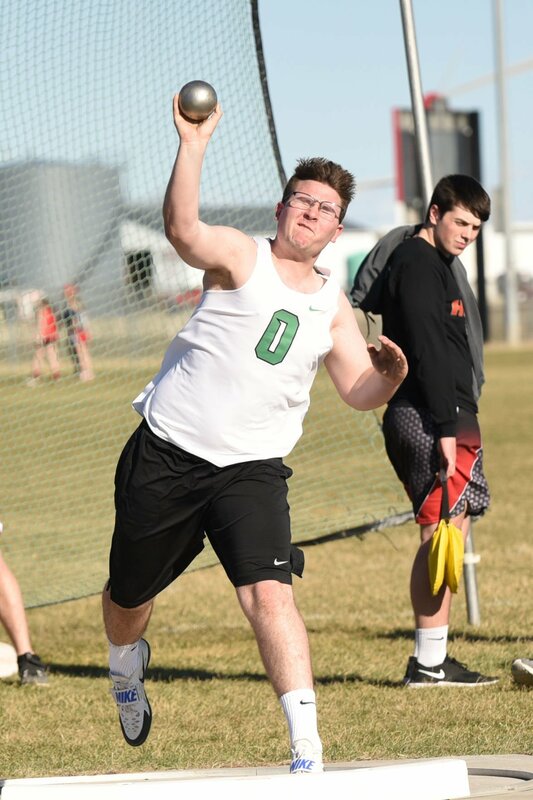 Matthew Olson throws the shot put for Osage at a meet held last week in St. Ansgar. Noah Sletten ready with his shot put throw. Ben Miller at the high jump for the Green Devils. Drew Erickson runs a relay for the Green Devils. Garrison Gerdts runs a relay leg for the Green Devils. Skyler Wright runs a leg of a relay for the Green Devils. Wesley Smith is focused as he runs the hurdles. Hayden Meeks runs for the Green Devils. 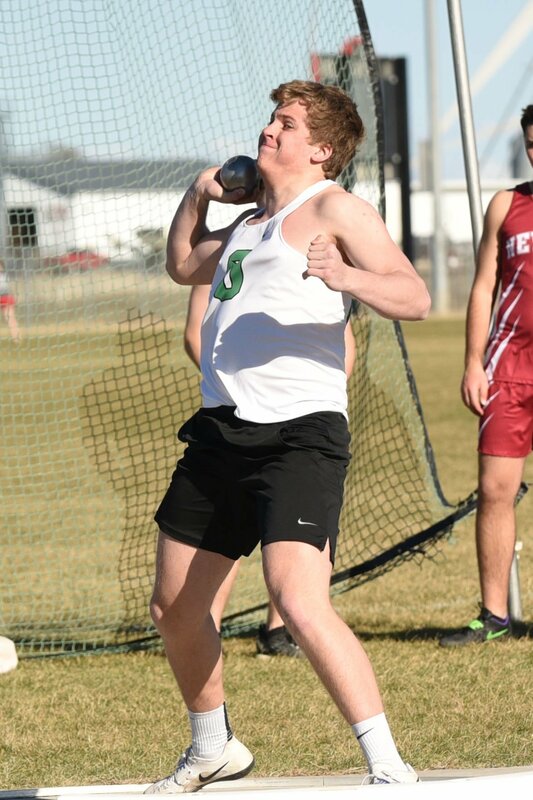 Conner Tabbert runs for the Green Devils at St. Ansgar. Averee Abben runs a leg of a relay for the Green Devils. Alex Swensonn runs a leg of a relay for the Green Devils. Noah O'Malley pushes through his race. Parker Cota with the hand off to Joey Potter. Desmund Taets with the hand off to Colton Boge. Nathan Havel runs the relay leg for the Green Devils.